Meander through one of the narrow stone-paved alleyways of Ponto-cho and you’ll find Houshoan nestled next to Kyoto Kamo River. A creative Japanese cuisine restaurant serving kyoyasai (Kyoto heirloom vegetables), Japanese wagyu beef, and seasonal kaiseki courses which consist of carefully selected seasonal vegetables. The ala carte menu contains a wide selection of Kyoto specialties, such as tofu and yuba (tofu skin). From May to the end of September, guests can also enjoy Kyoto’s famous tradition of “Yuka” or riverside dining. Courses start at 5,800 yen (riverside dining seating charge included). 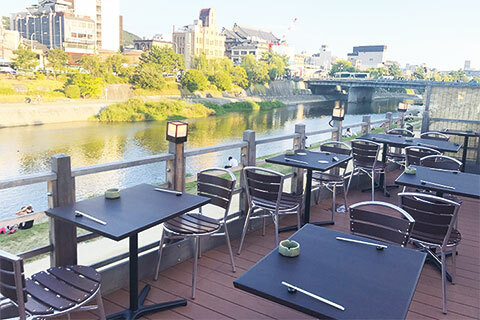 Houshoan is suitable for a variety of occasions, and during summer guests can leisurely enjoy the cool breeze along Kamo river, while savoring Kyoto kaiseki cuisine, as well as various ala carte dishes. Creative Kyoto cuisine served in a chic modern Japanese-style townhouse. 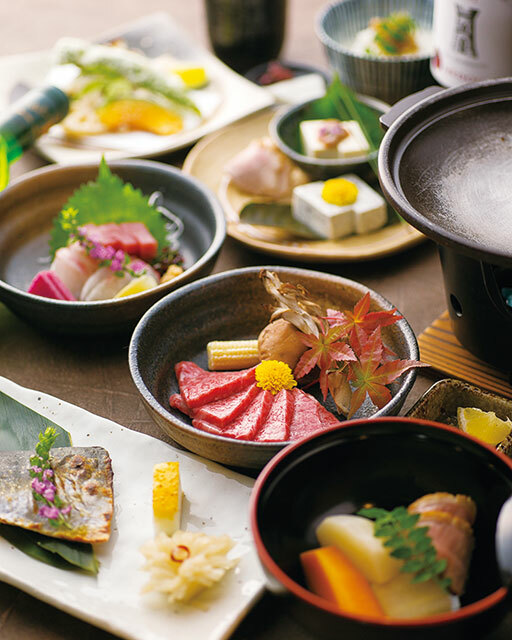 Enjoy unpretentious western cuisine on the Japanese floor mat. A magical world of Kyoto beyond a mysterious journey through a maze. Classic French cuisine loved all across the world.